However, since it is based on the DFT, if the input signal is not periodic, leakages related side effects can occur (see comparison below). 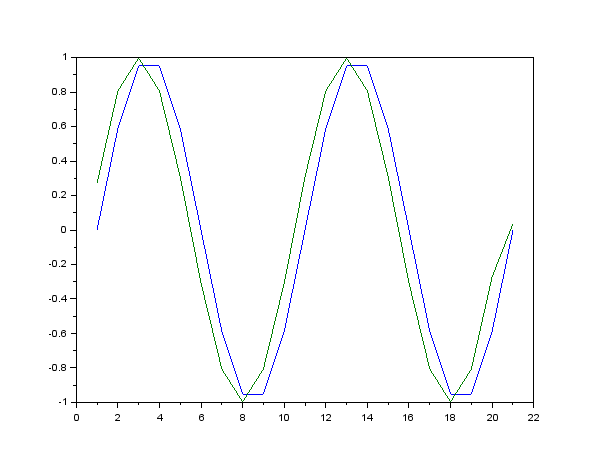 The interpolator method is based on a cubic cardinal spline interpolator. 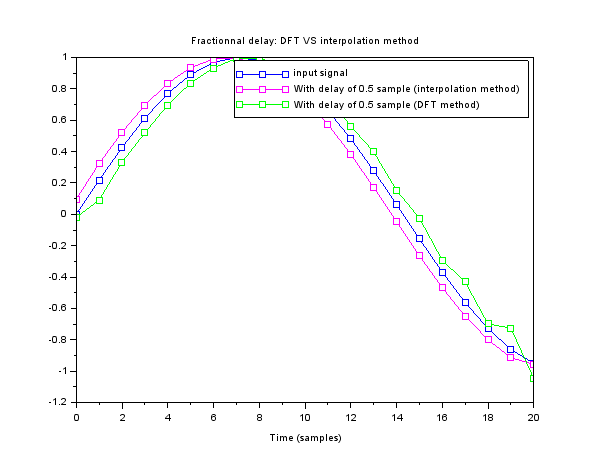 As one can see, the DFT method has some ringing at the end of the signal ; this is due to spectral leakages introduced by the fact that the signal values are different at the begin and at the end (the DFT suppose that the signal is peridic).